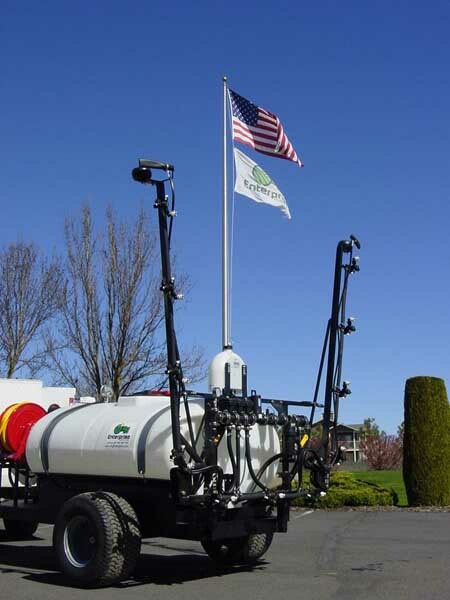 The Latest in Precision Spraying Technology. Saving time, money and offering accurate applications. 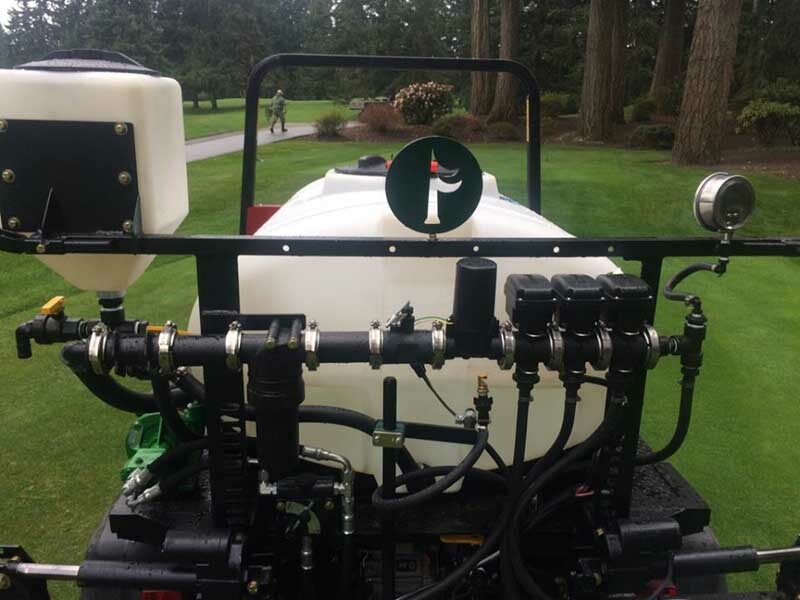 A new in-house designed and fabricated pull behind golf course sprayer was recently built here at the shop. 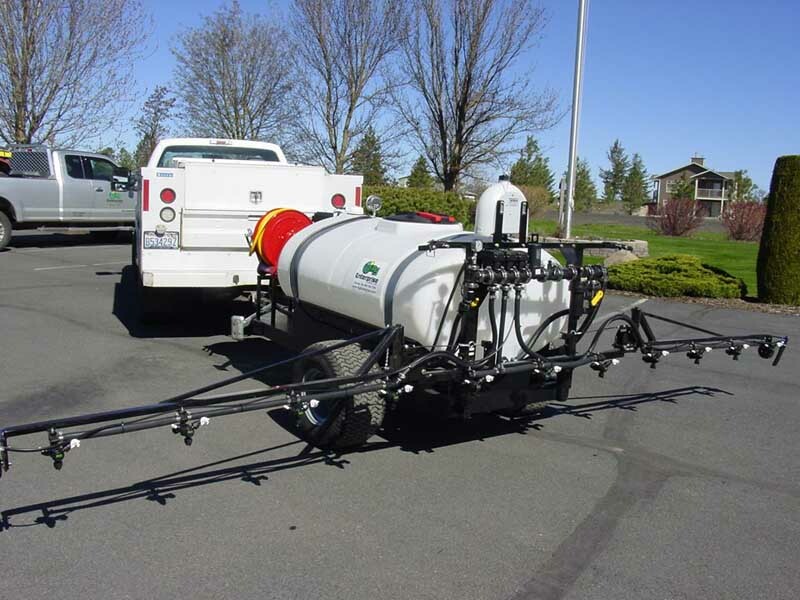 A very entailed and custom unit has a 300 gallon capacity and a 21’ boom with an integrated foam marker. 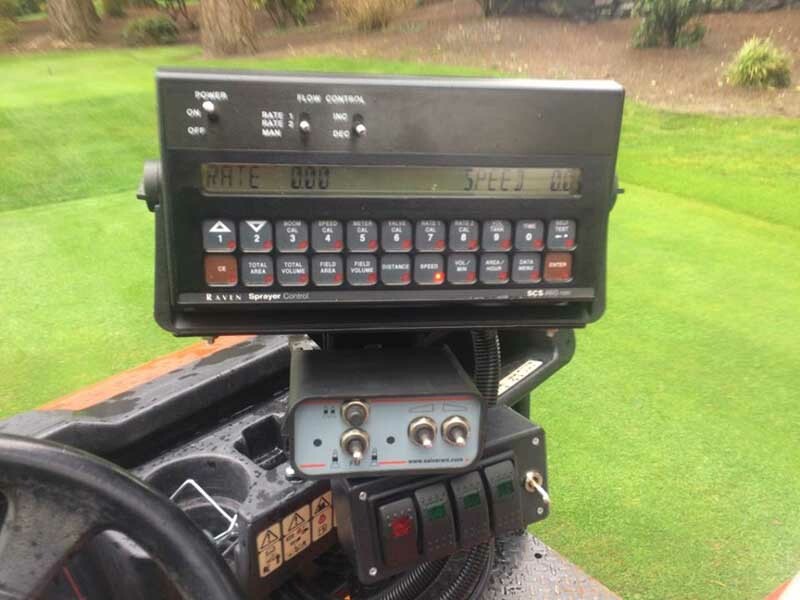 A Raven 440 controls the automatic rate function with an incorporated remote shutdown for the engine. A 5 gallon rinse tank was added to aid in cleanout. A valve opens to the suction of the pump and is blown through the full length agitation inside to rinse the sides of the tank as well. A drain on the back allows for full emptying of the system. 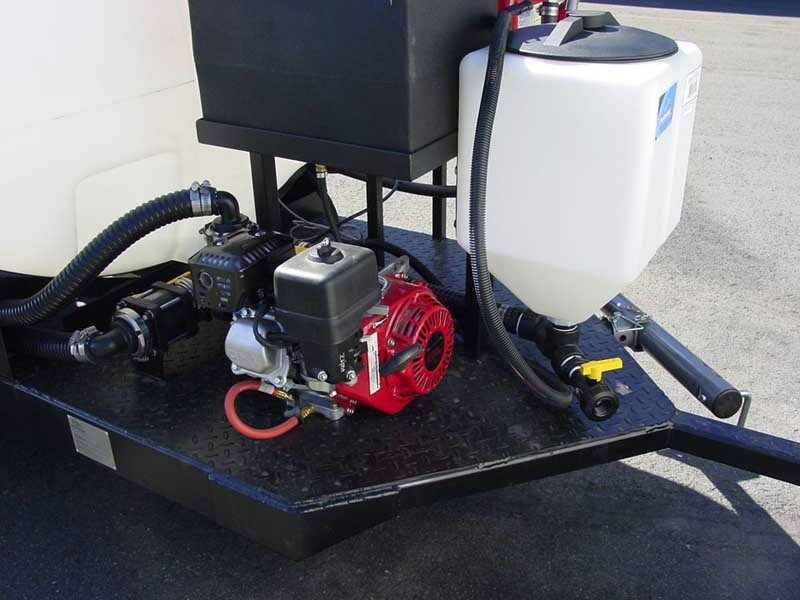 A larger 6 gallon fuel tank was added for extended range of the Honda along with a 100’ hose reel for spot spraying. 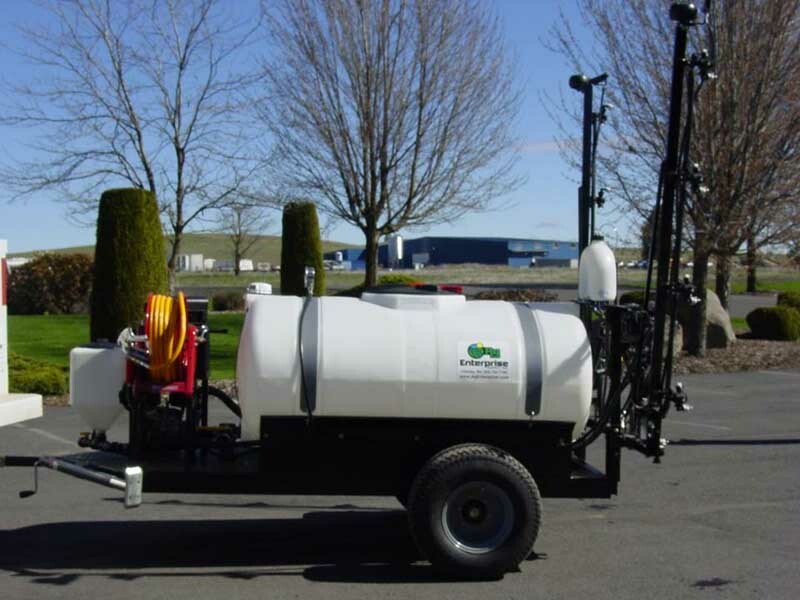 New from Ag Enterprise Supply, Inc. is this custom built and designed golf course sprayer. The customer already had a Toro utility vehicle with the factory dump bed on it and wanted to make it into a sprayer. The side racks were removed and the tank and brackets were designed and installed. A 200 gallon tank provides good capacity and the Ace 204 hydraulic driven pump provides the flow without having to fill up a gas tank to get the job done. The three-way valve on the suction side of the pump allows the rinse tank to be drawn down to clean out the system when switching chemicals. There is an easy access drain valve installed below the level of the tank to aid with proper clean out. The flow then goes through a Raven 3 section product manifold with automatic rate control. 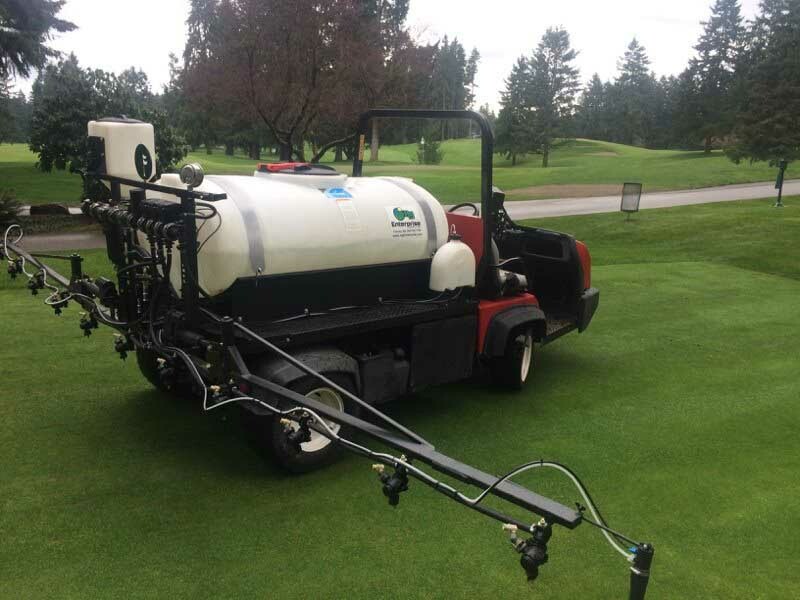 Teejet triple-turret nozzles allow for quick switching of application style that will accommodate 3 different nozzles on the same body cutting down on prep time before an application. A one gallon Smuckers foam marker gives the next line and a custom wiring harness was built to incorporate the customer supplied electronics with the newly installed ones. A separate hydraulic system was installed to run the liquid pump which also allows the bed to be tilted up for maintenance. 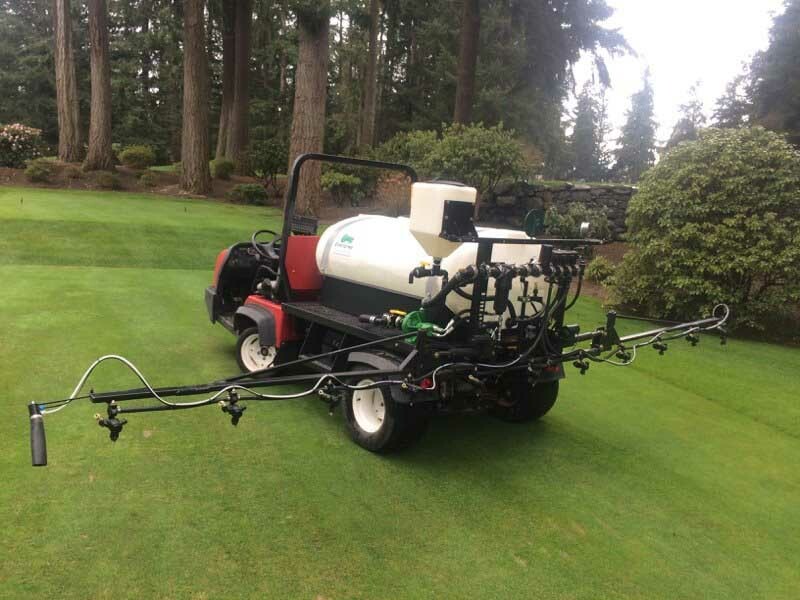 Also incorporated was a Teejet fan nozzle for doing fan application on the center of the boom.